Just look at the hair! "Uncanny valley" barely begins to describe a new trailer for the upcoming "Final Fantasy" movie. 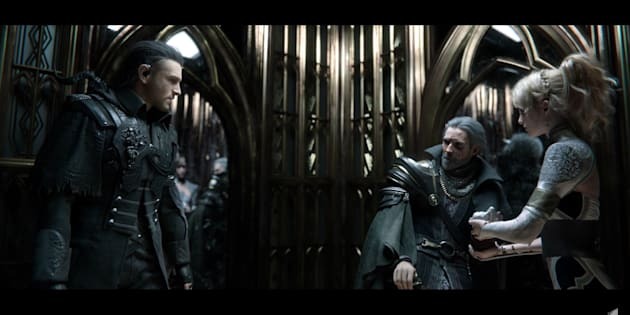 The computer-generated imagery in "Kingsglaive: Final Fantasy XV" -- which will be released in select theaters Aug. 19, Sony Pictures Entertainment announced Monday -- is realistic enough that you'll probably do a double take on first glance. Just look at this series of delicious "Final Fantasy" hairstyles and armor! Marvel at the incredibly realistic magical blasts hurled at this run-of-the-mill Cerberean beast! And then compare it to the relatively muddy visuals in 2001's "Final Fantasy: The Spirits Within." If you can't make it to a theater for "Kingsglaive" -- which stars Aaron Paul and Lena Headey as hyperrealistic characters they in no way resemble -- the film will also be released on home video, Sony Pictures said.